Pressure screen equips automatic oil injection device, seal water flow automatic detection alarm device, interlock system. Automatic oil injection device continuously injects lubricating grease to pressure screen bearings to make sure that bearings won’t be lack of oil. Seal water flow automatic detection alarm device tests the pressure and flow of seal water on line. Once the pressure and flow of seal water cannot meet requirements,it will sent the alarm signal, or stop pressure screen & fan pump with interlock system. Thus the equipment can not be damage. 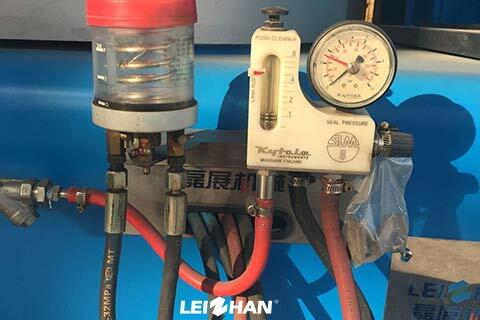 Pressure Screen from Leizhan has high applicative consistency, which can reach %3-%4. The efficient is high accordingly. The screening erea is less, and the energy consumption is much lower.